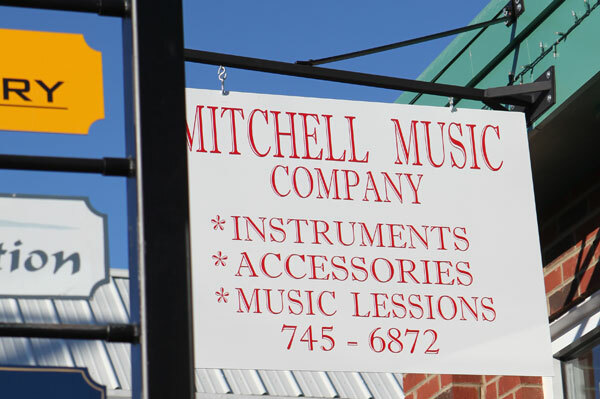 The new sign hanging outside Mike Mitchell’s music store on South Locust Street says it all…and then some. Mike sells instruments and accessories and gives music lessions. What a minute: Music lessions? Yep, Not lessons, mind you. Lessions. Mike shook his head said his landlord provided the sign with the misspelled word. “I’m sure I’ll be getting a new one,” he said. Lessons…lessions…whatever. Mike took the mistake in stride but noted that it was something that a sign dedicated to education (in this case music education) had a problem with spelling. In either case, check out Mitchell Music Company when you get a chance. He’s got some nice stuff in there and he knows how to spell. Not long ago, Wal-Mart was advertising the release of Windows 7. It showed a release date of ‘October 22th.’ No Joke, I got a picture of it…I wanted proof. Just to clarify, the sign at Pizza Inn was, in fact, spelled correctly when it was posted…the wind apparently blew the “c” off from one side, but it was fixed as soon as it was possible. But I’m glad folks are at least noticing the sign!